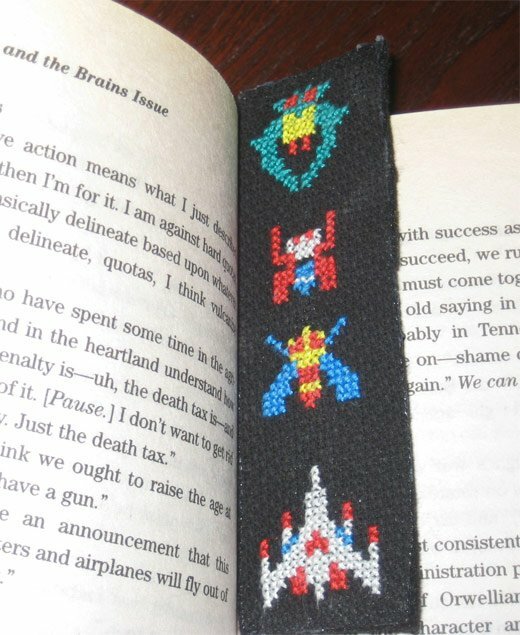 I’m really not sure what reading paperback books and the arcade classic Galaga have in common, other than this. 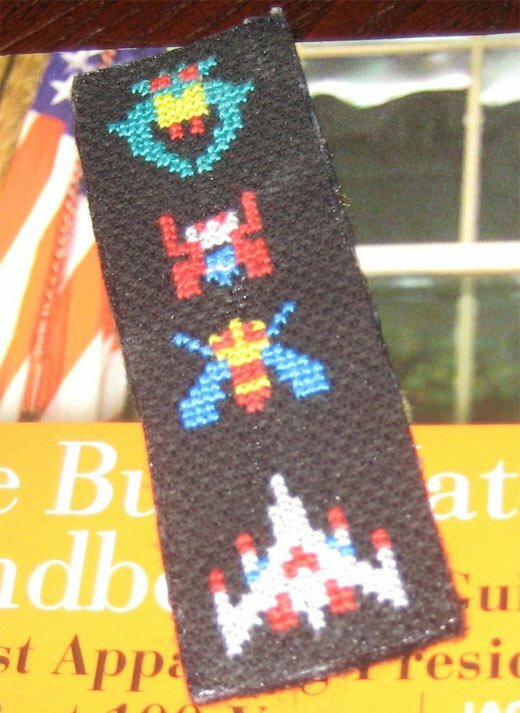 Crafter gimcracks has this handmade 8-bit cross-stitch bookmark up in her Etsy shop for just $6 (USD) if you manage to snag it before someone else does. Looks like I can finally retire that old Galaxian bookmark that’s keeping track of where I left off on my latest Harlequin Romance novel.